This is a One-Time Fee for Store Setup, Design, Hosting, and Social Configuration! Saving you over $8,000.00 in traditional eCommerce development! Then use our Vendie monthly Marketing & Management to cover your hosting, store updates, monthly product updates, and Local SEO. 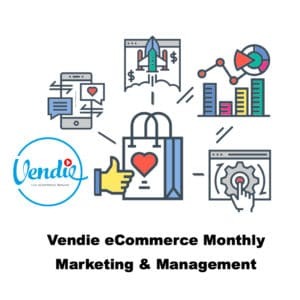 The #1 eCommerce Website, “Vendie” with an Expert viral marketing engine with Facebook Live integration, Social Sharing, WooCommerce complete setup with product settings to sell your products, ability to add affiliate products and drop shipping from the top online stores is the Ultimate Platform to Make Money Online Today!